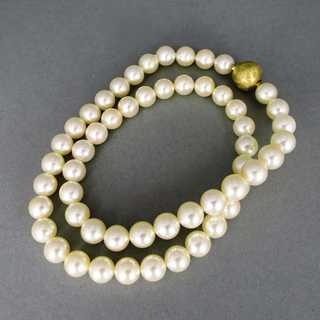 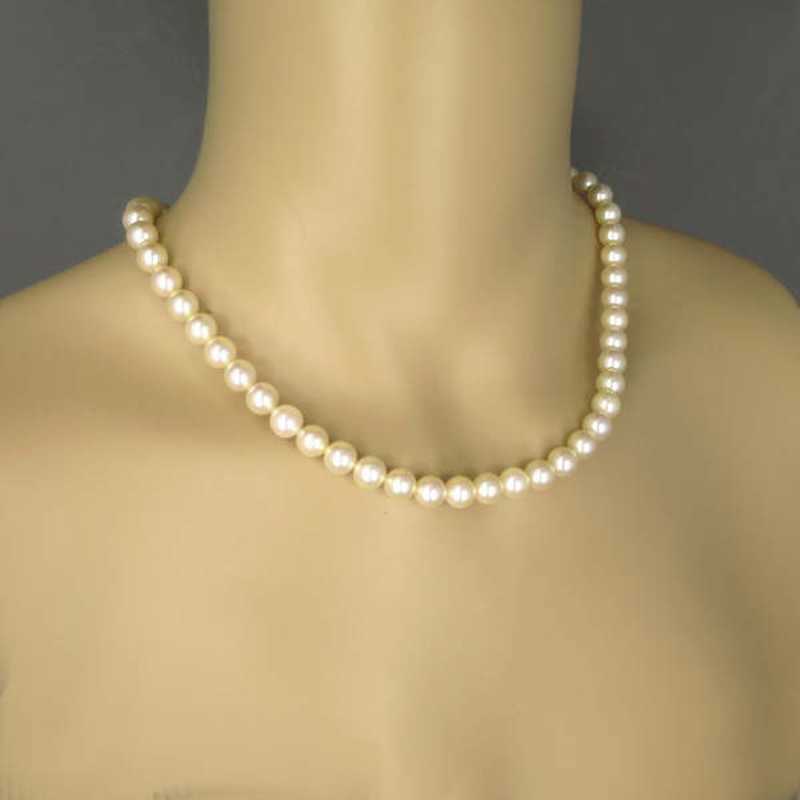 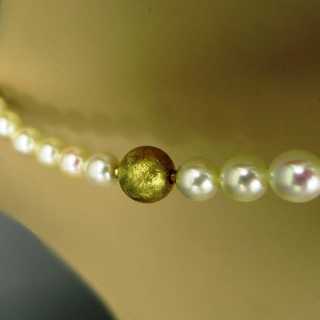 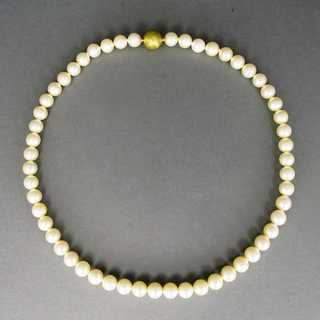 Wonderful necklace with gorgeous shimmering Akoya-pearls. 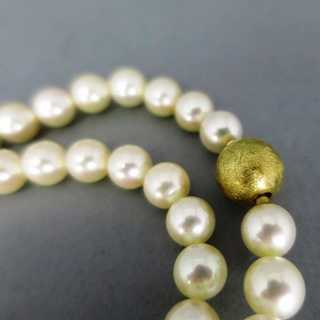 The pearls are strength together without knots between them. 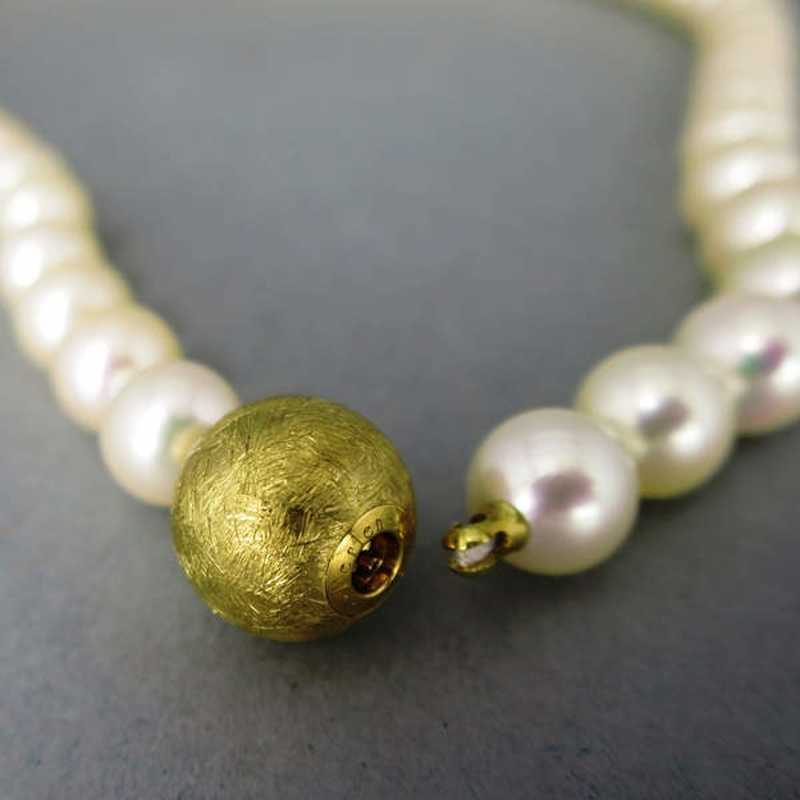 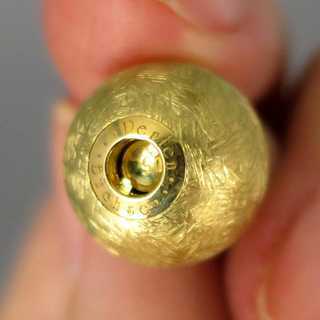 The necklace is to close with a spheric closure in gold. 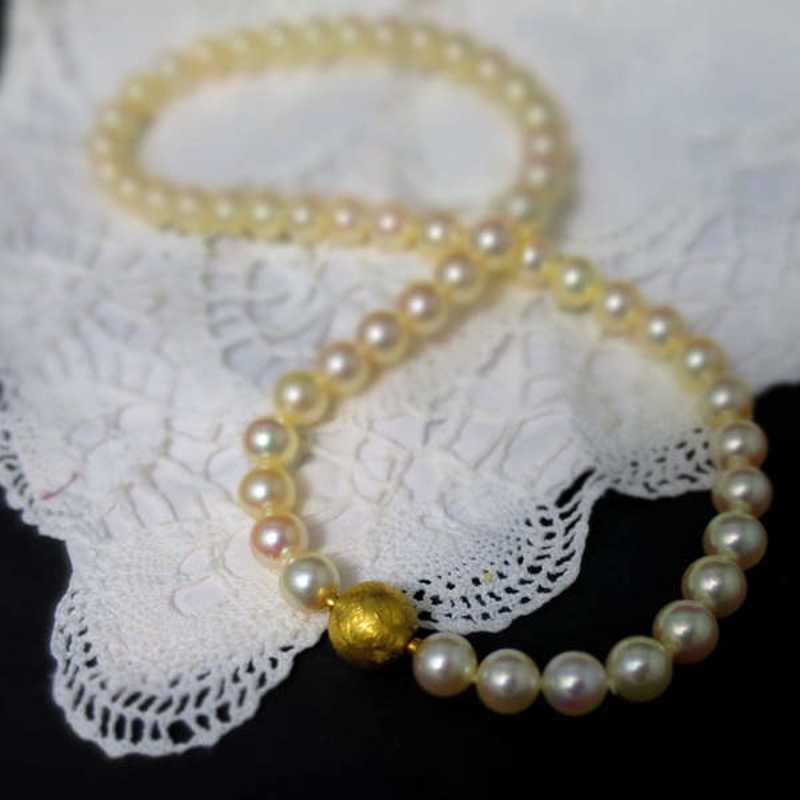 A precious piece of jewelry!